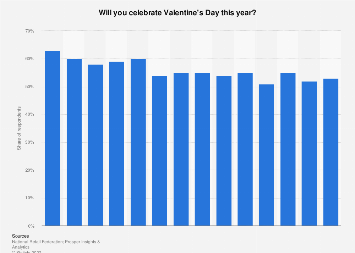 If that Jennifer Lopez classic "Love Don't Cost a Thing" booms over the airwaves at any stage this week, people intent on embracing Valentine's Day might get a little bit frustrated. 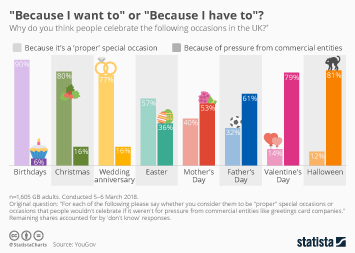 Nearly two decades after that song was released, love certainly does cost a thing and people need especially deep pockets on February 14th. 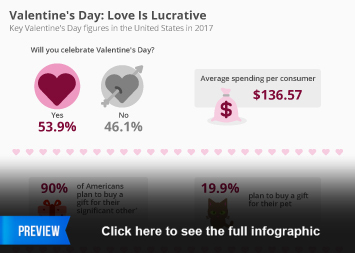 Even though Valentine's Day is becoming progressively less popular in the United States, participants are actually spending more than ever. 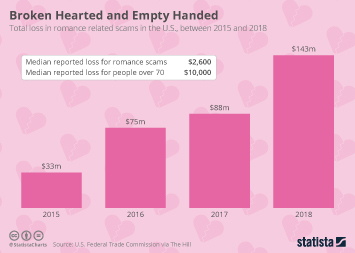 In total, the National Retail Federation has forecast that Americans will fork over a total of $20.7 billion on cards, flowers, chocolates and candlelight dinners. 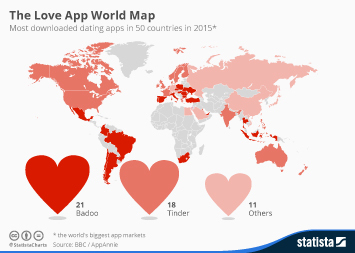 That's a record level of spending and represents a 6 percent increase on 2017. 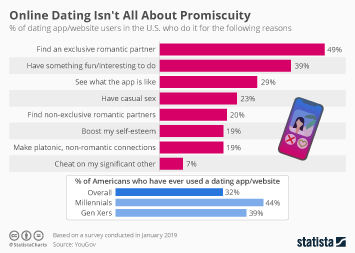 A decade ago, the share of Americans taking part in romantic activity on February 14th was 63 percent and it has now fallen to just 51 percent. 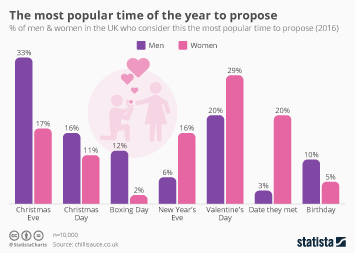 Nevetheless, people who are actually taking part in the day of love are taking things more seriously than ever judging by spending levels. 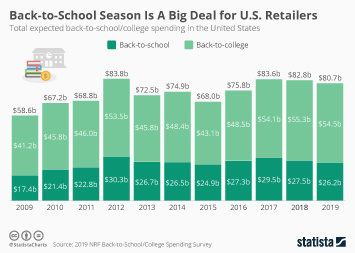 This year, average spending per person is expected to be $162, a noticeable increase of planned spending levels of $103 back in 2009. 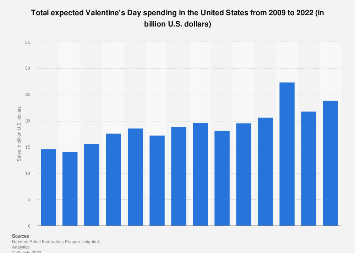 That certainly illustrates that love doesn't come cheap these days with participants saying they will spend $93.24 on spouses and significant others, $29.87 on other family members, $9.78 on friends, $8.63 on children's classmates or teachers, $7.78 on co-workers, $6.94 on pets and the rest on other categories. 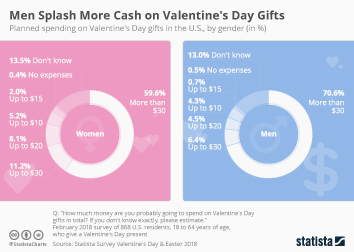 Like in previous years, men will spend far more than women. 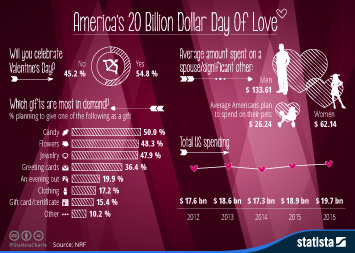 Men are expected to spend $229.54 on average, more than double the $99.77 women plan to spend. 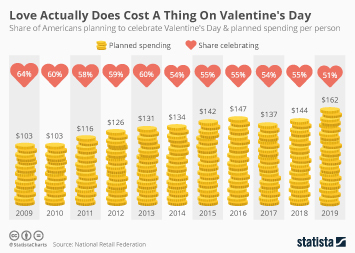 This chart shows the share of Americans planning to celebrate Valentine's Day and planned spending per person. 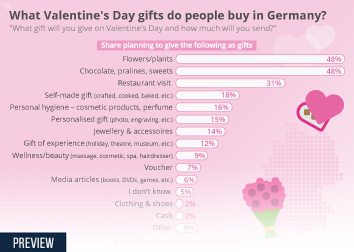 "Because I want to" or "Because I have to"
What Valentine's Day gifts do people buy in Germany? 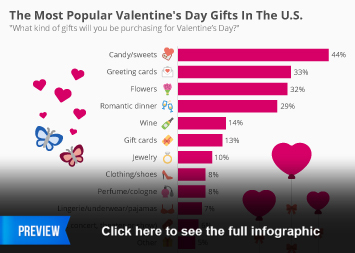 The Most Popular Valentine's Day Gifts In The U.S.